iKcon Infotech, is resolved to give top of the line arrangements focusing on specific business regions like ‘Class 5 Softswitch. 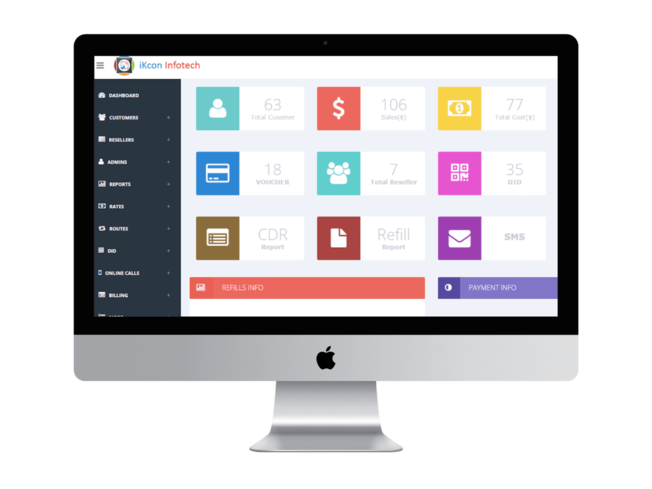 iKcon Softswitch can deal with media server limit for organization revelations, internal data exchanges, gathering or multi-way brings and voice over web convention calls. iKcon Softswitch is not limited to a particular class in any capacity. 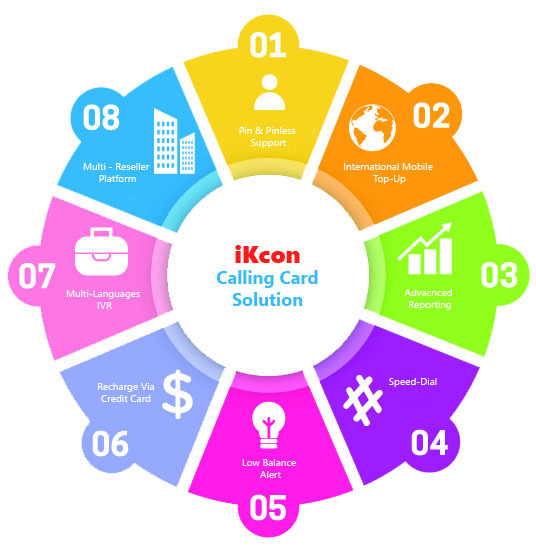 Accordingly, it helps us to give modified courses of action according to individual business necessities, It also includes real-time billing and has a flexible rate management system for Customer and Vendor rates, Ikcon Softswitch also provides Security against the threats like Ddos attacks, MySQL Injection, etc. 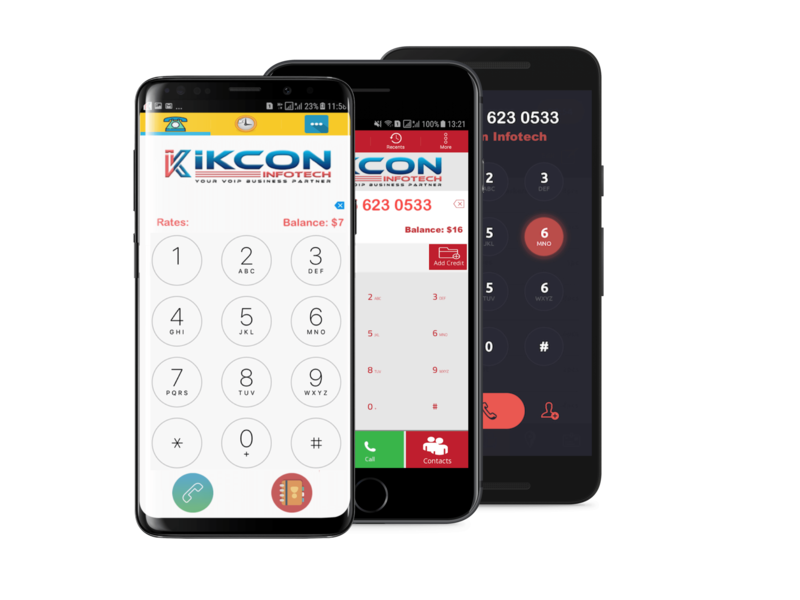 iKcon Mobile Dialer are compatible with all Switches and PBX Systems which comes with easy user interface. 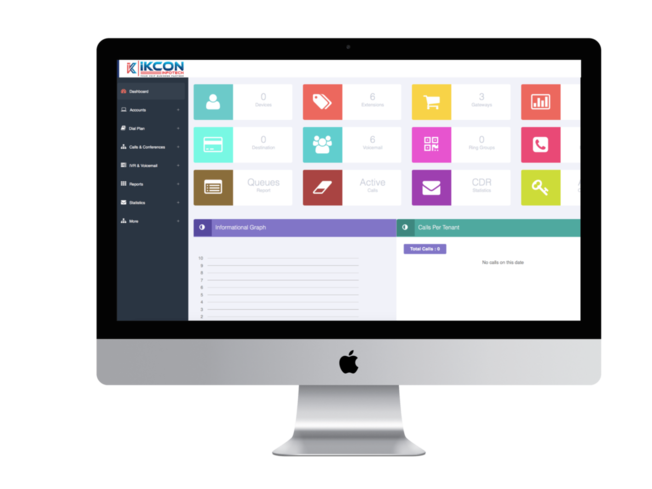 It’s a complete White Label System, you can get your own branded dialers and boost your branding and productivity. Features like Balance Display, Rates Display, Balance transfer between two accounts and payment gateway integration, HD Voice quality are the key features which keeps your clients happy. iKcon PBX is Multitenant system which comes with integrated billing system. Whether you have small company or big organization, it best fit to your needs. iKcon VoIP Billing is complete solution to all your billing requirements. 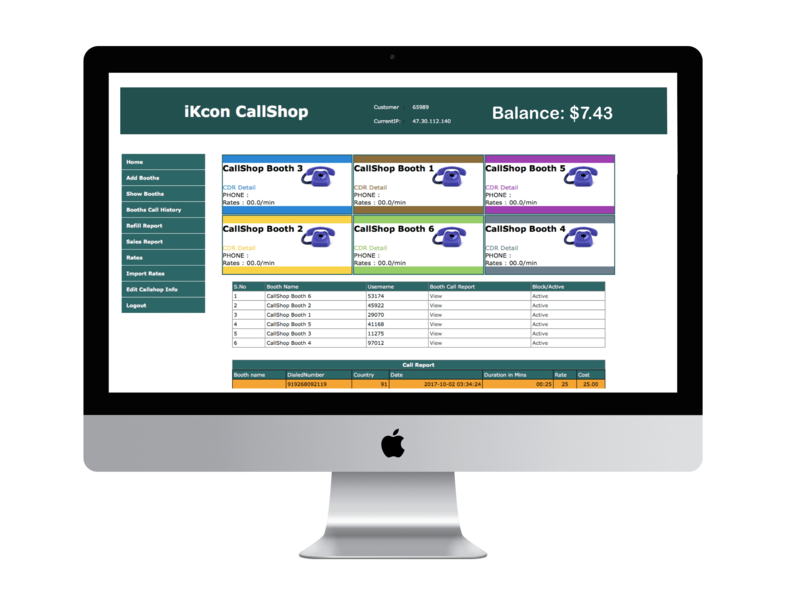 iKcon VoIP Billing is specially designed software for collecting, calculating billing details, invoice of calls and other online payment gateways. VoIP billing helps user to expand their unified communications in your own network. With the help of VoIP billing software, user can launch, price and provision their data and voice services. 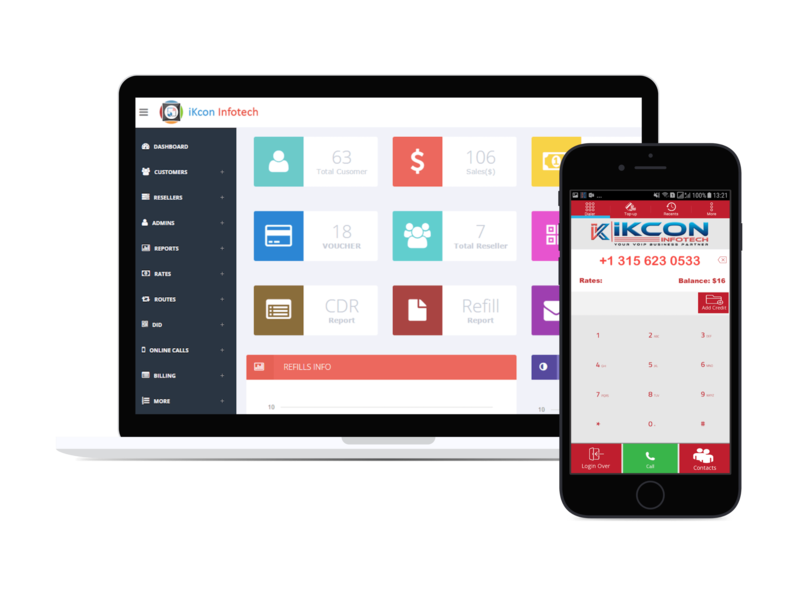 iKcon Callshop system allow its clients to provide high quality and cost effective prepaid and post-paid VoIP calling services within VoIP shops, call shops or internet cafe all around the world. 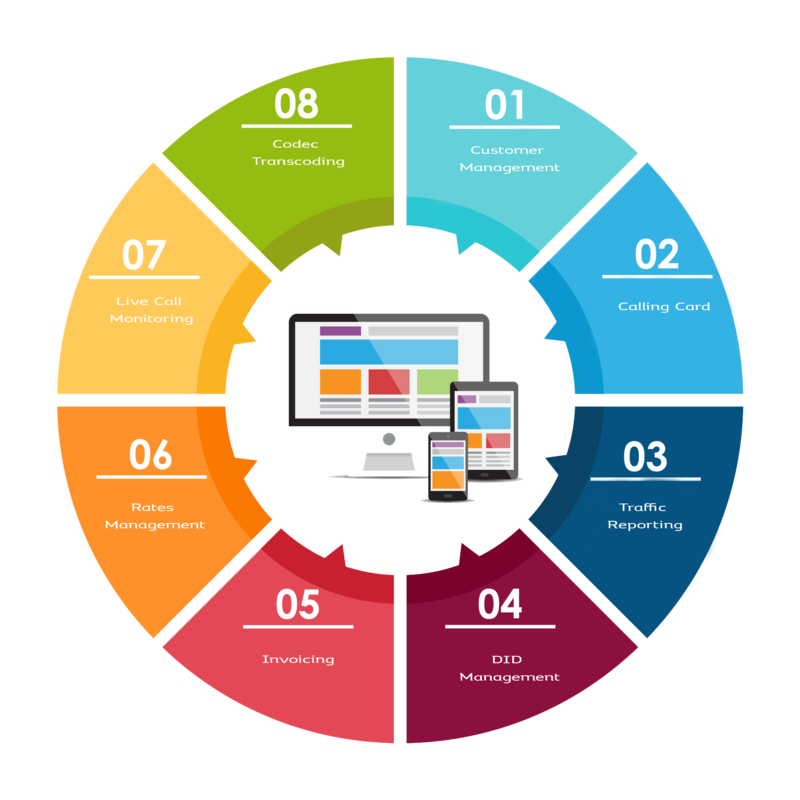 We offer all in one platform, resulting it monitoring, billing, reporting, integrates routing and carrier management on a single platform. What is Complete VoIP Solution? What all things comes in Complete VoIP Package? Complete VoIP Package consists of all the major required things which you will be needing to start Your VoIP business which includes Softswitch, iOS and Android Mobile Dialers, PBX System, Website, Calling Card System, CallShop Solution. Can I choose products from Complete VoIP Package? Yes, Complete VoIP Package is completely customized, you can choose products as per your requirements. For example if you already have website and you just need Softswitch and Mobile Dialers, Calling Card System only, you can make your own package. Does it Come with Branding? Yes, It’s Complete White Label Solution, All the products will be with your Company’s Branding and Logos.